The fenugreek gum powder is tasteless and odourless. It contains galactomannan which is a polysaccharide made of galactose combined with mannan, high molecular compound of mannose. Galactomannan has the property of viscosity which can convert milk into ice cream, cocoa into chocolate and when dissolved in water it forms gum. The ratio of galactose to mannose for fenugreek is 1:1 when compared to guar gum and locust bean gum having ratio of 1:2 and 1:4 respectively, it can be found that fenugreek gum powder contains more galactose and so has superior solubility as well as dispersiveness which results to forming of stable colloid for a longer period of time. As Mannan is hydrophobic, it is completely insoluble in water. But, as fenugreek gum powder is the combination of galactose which is hydrophilic and mannan which is hydrophobic, fenugreek gum is surface active. It means that fenugreek gum powder is an emulsifier which can mix water and oil. Thus, fenugreek gum works as a gum and an emulsifier both which has enabled its use as a stabilizer for food. Compared to other conventional gums like guar gum and locust bean gum, fenugreek gum has superior characteristics and so is used in many industries. To know more about fenugreek gum powder please visit: https://www.altrafine.com/fenugreek-gum-powder.html. Due to the presence of galactomannan in high proportion as the major component, in fenugreek gum powder, it has the quality of controlling blood sugar and blood lipid. So, it is considered very good for obesity and diabetic patients. Fenugreek gum powder also helps in reducing cholesterol, hypertension and chance of heart attack. Fenugreek gum powder also has the distinctive properties due to which the level of sugar in the blood can be lowered. 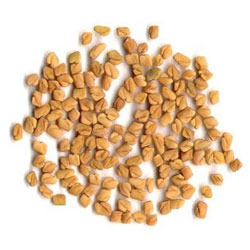 Due to so many medicinal properties, fenugreek gum powder is used in tablet and capsules. It is also used in weight control formulation and other diet food. as called in german, has excellent water solubility and shows stability across various pH levels. Therefore it is added in several food products as a thickening, stabilizing, emulsifying, binding and gelling agent. There are several ways guar gum can be used in food, food and pet food. Guar gum or guarkernmehl or gumme guar or goma guar is used as an additive in several baked food products. It is used to replace flour in the baked products and therefore is an important food additive for the preparation of gluten-free recipes that are better to digest. When used as additive in baked products, guar gum has tendency to improve the softness and stiffness of the product. Guar gum absorbs water in the food and makes the mixing of the batter easy. Therefore by using guar gum as additive in baked products, life of the food product can be enhanced while reducing it’s time of preparation. The stabilizing and thickening property of guar gum makes it a valuable additive in preparation of desserts and frozen foods especially the ice creams. Guar gum prevents the frozen foods from melting and therefore added in frozen desserts. By adding guar gum ice crystals are not formed and a smooth texture is imparted to the ice creams making them feel soft and easily to melt when eaten due to guar gum emulsifying properties. Guar gum is added in soups and sauces as a thickening agent and stabilizing agent. When added in soups and sauces, guar gum absorbs the excess water present in them and therefore makes these food products natural viscous. Guar gum additives enhance the shelf life of the sauces and soups prepared. If you are looking for weight loss and low calorie food is what you eat most of the time, you must be aware of the guar gum additives available in the market today. Guar gum is added in several low calorie foods to give them the mouth-feel of oils without the presence of fat in them. Guar gum as food additive can be an important additive for preparation of low calorie cake icings, cheeses, bakery products, salad dressings, sour cream, frozen desserts, condiments and sausages. Cassia gum forms firm, thermoplastic gels with carrageenan. As the level of cassia gum is increased, the gel strength of carrageenan solutions is also increase. Cassia gum and carrageenan gel is stable due to the excellent retorting stability of cassia gum. Cassia gum and xanthan gum, on their own, do not have the ability to form gels. But cassia gum combined with xanthan gum, aqueous dispersions of cassia gum form cohesive, elastic gels. As with carrageenan, cassia is more efficient at forming gels with xanthan gum than other galactomannans, enabling lower total hydrocolloid levels in finished formulations. This is due to the unique branched polysaccharide galactose/mannose structure of cassia gum. Cassia gum is manufactured from the endosperm of Senna obtusifolia or Cassia obtusifolia or Cassia Tora or Cassia Occidentalis). It is mainly used as a thickener and gelling agent in foods and pet foods. Cassia grows mainly in subtropical regions and is grows mostly wild and occasionally cultivated. Cassia Gum is comprised of at least 75% polysaccharide consisting primarily of a linear backbone chain of mannose with side galactose units The ratio of Mannose : Galactose is about 5: 1. Cassia gum, like LBG can form gels with other colloids like Carrageenan and Xanthan and is therefore used in the manufacture of gels in the food and pet food applications in combination of other colloids. Cassia Tora has natural gelling properties. It can be used as a substitute for coffee. Cassia is used as a food for pets substituting locust bean gum or carob gum. It is used with the combination of Kapa Carrageenan as wet canned pet food. In many industries it is used as a food additive. It is a natural additive. Cassia is a gelling agent used as an air freshener in the form of gels. Along with above, Cassia Tora powder has other applications used especially in food industries as it has an excellent gelling property as compared to other colloids used. It is also used for emulsification, foam stabilization and for the purpose of moisture retention. Cassia tora powder has properties, useful in healing skin diseases like ring worm, psoriasis and itch. Altrafine Gums, a manufacturer and exporter of producing an extensive range of gum that includes Cassia Tora Powder for pet food and Cassia Tora Powder for food additives With additional natural gelling property Cassia Tora is also useful as gelling additives.